Non - profitable entity that offers scientist publishing services in open access, fully refereed journal accepting original and high-quality articles. 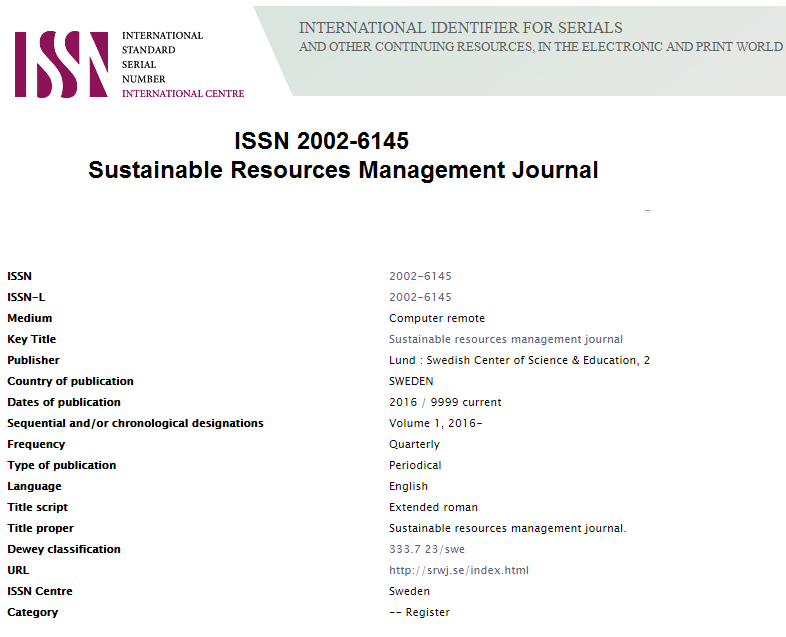 The primary aim of the Journal is to raise environmental awareness and provide high-quality information on environment sustainability, energy, waste and water. Copyright: © 2018 SRMJ. This is an open-access article distributed under the terms of the Creative Commons Attribution License, which permits unrestricted use, distribution, and reproduction in any medium, provided the original author and source are credited.